The sound of mad hobgoblin laughter cascaded through the rocky clearing. Blacknail was full of exhilaration now that his plans were finally coming to fruition. The laughter was just bubbling out of him. Nothing could stop him from getting his terrible revenge! “What in all the hells is Blacknail up to? Did he get hit in the head?” Khita asked as she scowled and walked over. She had a finger deep in one of her ears and was twisting it around. “I wouldn’t get to close. He might scratch you or something. He seems really wound up,” Elyias replied dryly. He was walking beside her. Blacknail stopped laughing and turned to glare at the two humans. They were ruining this for him. Well, whatever. He would get them back later, Elyias especially. Blacknail had plans for him. Smiling smugly to himself, Blacknail ignored the humans and immediately went to work preparing for the next phase of his scheme. 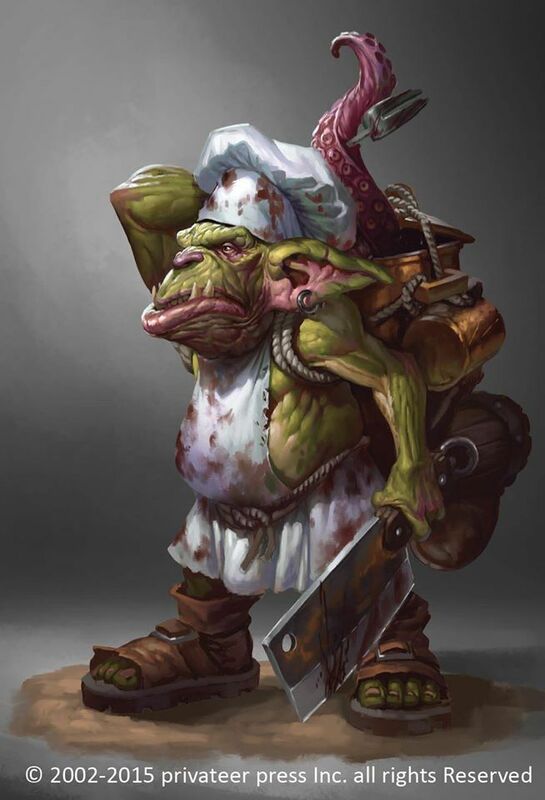 Now that he had built up his base enough to start producing hobgoblins, it was time to introduce a bit of chaos and excitement into the system. Chaos created opportunity, and Blacknail excelled at taking advantage of opportunities. The hobgoblin chieftain grabbed a sack from off the ground as he walked. He had no idea where it came from, but that didn’t matter. Some goblin had probably stolen it from Shelter. The next thing he needed was light, so the hobgoblin built a primitive torch from a branch and some dry rope and cloth. He wandered over to the clay firing pit to set it aflame, but his first few attempts failed to produce a useable amount of fire. The end of the torch just blackened and smoked. “Imp has light,” Ferrar said from nearby. The goblin had been working but he had stopped to watch Blacknail’s efforts. As usual, his eyes shone with perceptive intelligence. “I know that,” Blacknail muttered as he futilely poked the fire one last time. He didn’t like failing in front of his minions. Stupid torch. The hobgoblin then threw his failed torch on the fire and headed for Imp’s hut. It wouldn’t surprise Blacknail if there was a torch or something among all the junk Imp had piled up there. He seemed to have everything else. There was a shuffling sound from inside as Blacknail walked up to the door. Imp was inside. He was walking around his home as he picked up and put down a plethora of small items. Every once in a while he would stop and stare intently into one of two large clay pots. “Ah, I have that,” Imp replied. He nodded enthusiastically and then walked over to a shelf. He picked something up off of it and then turned to show it to Blacknail. In the center of the hobgoblin’s hand was a small transparent crystal. “Huh, it’s not going to blow up, is it?” Blacknail asked warily as he took a step back. He then glanced nervously at the contents of all the nearby shelves. Mahedium’s workshop had tended to explode every now and then. “Ah, that doesn’t sound too bad,” Blacknail mused aloud. Even the sun could blind you, and some of Blacknail’s favorite possessions were designed to cut people. Imp quickly agreed to follow his glorious chieftain, and the pair headed over to the deepest cave in the camp. Since Blacknail wasn’t a mage he couldn’t use the light stone, and thus Imp had to come along. Cautiously, Blacknail jumped down the ledge that led to the cavern. He walked through the cave entrance and looked around. It was too dark for him to see anything inside, even though the sun was still shining brightly outside. He could barely make out the rock studded walls of the dark tunnel, and the way forward was nothing but a murky black void. As Imp stepped up behind Blacknail, light flooded out to fill the tunnel. Suddenly, the cracks and crags in the grey stone walls were completely visible. Blacknail could see down into the cave until the way forward curved out of sight. The floor was dirty and uneven. Short spiky stalactites hung from the ceiling. Blacknail glanced back over his shoulder and saw Imp holding one hand up above his head. The light was pouring out from between the hobgoblin’s fingers. “Follow me,” Blacknail ordered Imp as he turned back around and began walking deeper into the cavern. He was in no way afraid of the light going out and being stranded all alone in the dark. He was just going to keep very close to Imp. The two hobgoblins carefully made their way deeper into the cave. After only a few moments of scrambling over rocks and cracks in the floor, they reached their destination. The cave abruptly ended at a wall of loose rock. It looked like the ceiling had collapsed, but that wasn’t why they were here. The light pouring out from Imp’s stone was thrown back by something embedded in the cave wall. It sparkled with a yellowish tint. “Ah, yellow shiny rocks,” Imp observed as he leaned closer. “It’s called gold!” Blacknail explained proudly. He still knew a lot of things that Imp didn’t. The other hobgoblin wasn’t as smart as he liked to pretend he was. “It’s pretty, but what is it for?” Imp asked. He seemed sure they weren’t here just to admire the view or get a new shiny trinket to play with. “You use it to trick humans. They go all crazy when they see gold. All their favorite coins are made from it,” Blacknail replied confidently. He didn’t have a complete understanding of how currency worked, but he knew that was one of the most important parts. “No, I want to trick all of them,” Blacknail explained as he spread his arms apart as if he was trying to grab something gigantic. There was a fierce smile on his face. “Ah, that sounds like fun,” Imp replied cheerfully as he studied the gold. He wasn’t looking at Blacknail. Blacknail and Imp then spent a few minutes gathering up any loose yellow rocks they could find. The sack Blacknail had brought was just starting to get uncomfortably heavy, when he heard a wet sloshing sound from behind him. It was quickly followed by the thud of a falling rock. Both of the hobgoblins turned and looked at each other. Upon seeing that the other was just as confused as them, they both glanced over their shoulders. The noise had come from the barrier of fallen rock behind them. As they watched, there was another splashing sound from somewhere out of sight. “You should check it out. In fact, I order you to, as the leader,” Blacknail told Imp. “If I die then we lose the light, and you’re a much tougher fighter,” Imp quickly countered. Those were good points. This was why Blacknail hated smart minions. He should have brought someone expandable, like a goblin. “Ugh, fine,” he muttered as he tiptoed over towards the source of the sound. It was probably a rat or something. The rocks in front of him were piled up on each other to form a steep slope. The light from the mana stone didn’t light it all up because its surface was so uneven. Instead, the uneven rocks were covered in slowly shifting shadows. There were several dark gaps in the rock that looked disconcertedly deep. Some of them might even penetrate right through the rocks and lead to a chamber on the other side of the collapse. A flash of movement and another wet sound drew Blacknail’s attention. Something was moving on the other side of a tall grey rock. The hobgoblin leaned sideways to get a better look, just as something stepped into sight. The empty eye sockets of a human skull stared at Blacknail, and he stared back. “Um, what?” Blacknail exclaimed in surprise. Below the skull, a frame of bones formed a complete standing skeleton. “Did you know that human bones could walk around?” Blacknail asked Imp as he stared at the sight before him and slowly reached down to draw his sword. Human remains didn’t scare the hobgoblin all that much. Even living humans weren’t typically that dangerous, and they were usually in much better shape than corpses, but it was better to be safe than sorry. Before Blacknail could reply, the skeleton took a shambling step forward and Blacknail was forced to take a wary step back from it. The moving corpse was still mostly in the shadows, and he was in no hurry to fight it. How did you kill a pile of bones anyway? A second later, Imp held his hand out and the light he was holding grew much brighter. The white glow of the stone suddenly illuminated the skeleton as it stepped forward again, and Blacknail got a good look at it. “Oh, it’s covered in slime,” he observed as he suddenly had a realization. The human bones were wrapped in transparent goo, and it was very familiar looking to Blacknail. Before he could finish his thought though, the skeleton suddenly lurched forward and swung an arm at him. Blacknail dodged under the blow and stabbed the attacking monster in the stomach. The blade sank into the slime and bounced harmlessly off of bone. The skeleton didn’t appear to have been harmed. It ignored the blow and swung at him again. Blacknail was forced to throw himself back out of the way. His blade came free with a wet sucking sound. After stumbling, he caught his balance and raised his sword up into a guard. “You could help,” Blacknail hissed at Imp. “How? I have no sword and I’m not touching that. It looks icky,” he replied. “We’re standing a little close. The boom is big,” Imp answered skeptically. “Fine, I’ll do it myself,” Blacknail told him as he stepped in and took another swing the shambling pile of bones and ooze. The attack hit, but once again it accomplished next to nothing. The thick slime slowed the blow enough that the bones were barely damaged by the strike. This wasn’t the first ooze monster Blacknail had ever fought, but this one was noticeably tougher than the last. Oozes usually had vulnerable organs, but this one’s were protected by the skeleton’s ribcage. The stolen human bones also allowed to it to walk instead of rolling around, and its arms gave it some reach. Every time the skeleton flailed at Blacknail tendrils rose off the monster’s arms and reached for him. Again and again, Blacknail sliced and swung his sword but the ooze remained unfazed. The hobgoblin was forced to retreat as the skeleton lurched towards him with outstretched arms. If the slime got a hold of him it would be difficult to get free and the monster would quickly squeeze the life from him. This fight wasn’t going anywhere. The skeleton was too slow to hit Blacknail, but he couldn’t hurt it either. He needed to change things up. Imp certainly wasn’t helping. He was just standing back and watching the fight. That wasn’t what minions were for! “You’re going to make me do this, aren’t you?” Blacknail muttered at Imp as he readied himself. A second later, he lunged towards the slime. He was holding his sword down low, and as he charged he thrust it towards the skeleton’s chest with all his might. He needed to break some bones. Before the slime could react, Blacknail’s sword slammed into its chest. The tip of the blade cut through the slime and hit a pair of ribs. For a moment, the bones seemed to stop the attack, but then they shattered. The blade slipped right through the skeleton’s chest. Unfortunately for Blacknail, he couldn’t stop his charge. He had built up way too much momentum. It carried him right into his opponent, and they both fell over in a tangle. “Ugh, this feels icky!” Blacknail cried after hitting the ground. The slime had already begun enveloping him. It had firm hold on him now, and that wasn’t good. Suppressing his disgust, Blacknail let go of his sword and fought to keep one hand free. As the slime spread towards his face and pulled him down, the hobgoblin plunged his hand through the skeleton’s broken ribs and began feeling around. The thick slime moved around his fingers and made it hard to tell if he was hitting anything. He needed to destroy the thing’s organs. The ooze bubbled up and covered Blacknail’s mouth. The hobgoblin couldn’t get free now and he had only a few seconds left to find his opponent’s weak spot. Where was the damned thing? He should have already grabbed it. This wasn’t the first time Blacknail had stuck his hand inside a human chest cavity, it wasn’t that large! A loud cracking noise splintered the quiet, right next to Blacknail’s head. He flinched and glanced in that direction. The sight of a shattered skull filled his vision. A large rock had smashed open the dome of the slime’s stolen skull, and a pair of green hands was holding the rock. As Blacknail watched, black fluid began to leak out of the cracked remains of the skull’s eye sockets, and the slime holding him went limp. The organ had been in the skull, not the chest. “That was my plan all along. I set that up for you,” Blacknail told Imp as he sat up and began coughing. There was slime in his throat. It did not taste great. “Of course, boss. Your mighty struggle was amazing,” Imp replied flatly. Blacknail wasn’t sure if he was being sincere, but he was too tired – and slimy - to care right now. He stood up and began wiping himself off. The fallen skeleton was at his feet and the now inactive ooze was sloughing off of its bones. Before he was anywhere near clean, there was a scuttling sound from where the slime had come from. Both hobgoblins looked over to see a pale crab-like creature emerge from the rocks and stare back at them. It was the size of a large dog. “Let’s get out of here,” Blacknail told Imp. The other hobgoblin didn’t argue. Blacknail grabbed the sack of gold and they scrambled out of the cave. They had gotten what they had come for anyway, so there was no point in sticking around. The first thing Blacknail did after leaving the cave was to jump in a deep pool of water and change his clothes. Once all the slime had been washed away, Blacknail and Imp went to talk to Elyias. They found the man sitting atop one of the hills at the edge of the camp. He was looking outward towards the forest, and his slouching posture made him seem tired and depressed. What a whiner. “What do you want?” Elyias asked when he spotted the hobgoblins approaching. “What do you want?” Blacknail countered cheerfully. “To leave and get back to civilization,” Elyias replied. He didn’t sound amused. “Like all the demons in all the hells are chasing me,” Elyias replied. His eyes had gone wide with surprise and hope. It was sort of cute, in a kickable way. “What’s that?” Elyias asked cautiously. “No. No, you can’t,” Blacknail replied as he winked at an impressed looking Imp. Elyias, you really need to think a bit more about what you're about to do. Suprise chapter!?!? Does this mean we are going back to wednesday-sunday schedule? Thanks for the chapter. Love your work. "Short spiky stalagmites hung from the ceiling." Stalagmites grow from the bottom and stalagtites hang from the ceiling. I know it's not really important, but it's the second time you use it like that (first time was way back in the cave with the troll in it), and it kind of rubs me the wrong way like writing about a "brown albino rabbit". Stalactites* g for ground, c for ceiling. I will fix it. Thanks for pointing this out. This part is basically written from Blacknail's perspective. Would our all-important hobgoblin even know a complicated word like stalactite? I'd think he'd just refer to it as "that short spiky thing" lol. The scene is third person limited persepctive. Blacknail may not know what a stalactite is but the narrator does. If it was first person limited or even first person omnicient you would be correct, but in this case the story is being described by a narrator who can get inside Blacknails head but is not necessarily constrained to the characters voice and thoughts. They should make movie series out of it. ROFL. Blacknail is seriously smarter and has more heart than like 90% of the humans in this story even while they all look down on him. how dare you he is the boss he doesn't have to ,think that's what minion are for, to think for you and bring you cheese. Hmmm, I get what you're saying. Blacknail is more intelligent than he was but he still is the same as before. I see no reason for Blacknail to be extra smart. Even Imp is quite stupid. Why? He is working under Blacknail. Blacknail is defenitely more intelligent than most goblins and humans but he simply has no motivation to get smarter. The key to intelligence is curiosity, motivation and thinking. Blacknail just likes eating, sleeping and hunting. Following how I developed into a smarter person - it was because I was thinking a lot. I wanted to get smarter so I focused my thinking on that. Piece by piece I learned how to better use my mind. 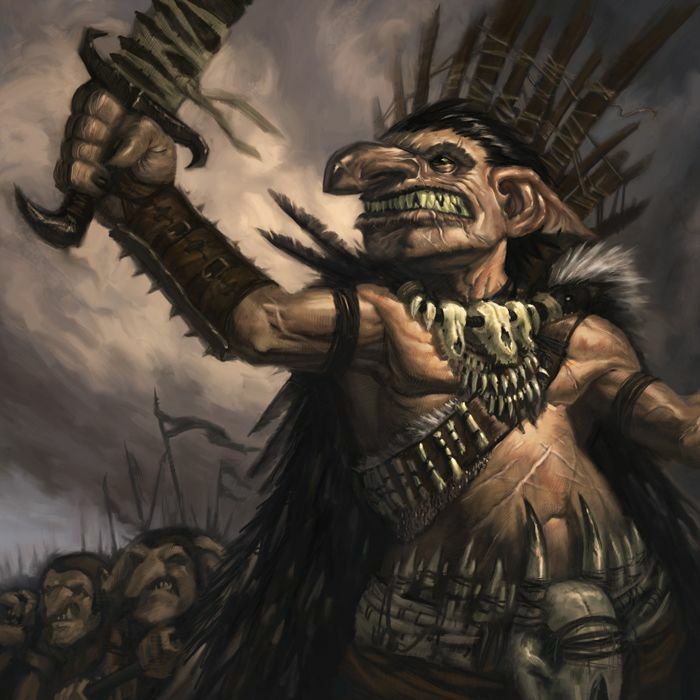 Blacknail is simple-minded goblin. He likes eating, hunting and sleeping. Where is there a place for him becoming a master tactician? How many books did he read? How many teachers did he have? To get smarter you need the right environment. A right train of thoughts. A right stimulation. Where is such stimulation in a forest full of uneducated goblins? Even in thr real world intelligent people make stupid mistakes because of emotions, schematic thinking and carefree attitude. I get you want him smarter but no barbarian got smarter in one year for no apparent reason. Spend a year in a paradise and we will see how much dumber you will become. No reason - no results. No struggle - no development. Honestly, much as I've grown to like Blacknail, I really do think Imp would make a better protagonist sometimes. You sure have a lot of goblins pics. There is a giblon for every occasion, chef or chief we got them all! run with the rock! run with it and you may live!